We guarantee our labor for one year from completion. RCM's factory-trained technicians make your installation smooth and worry-free. Convenience, a sound investment, and the possibility of tax savings are just some of the advantages to installing a home elevator. Special Offer! 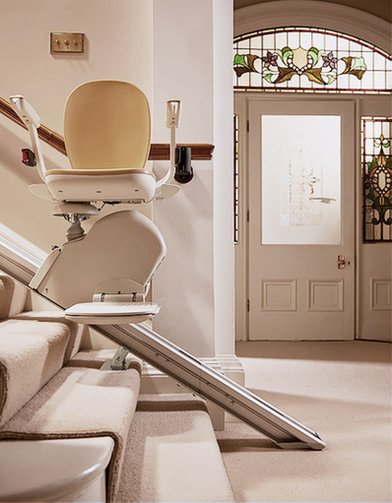 $2,899 for a Straight Stairlift! Just in time for Mother and Father’s Day! When calling or emailing us, be sure to use the code MOMANDDAD when ordering.